In 1976 Mary Ronnie made history when she became the first woman national librarian in the world. She began her career at the Dunedin Public Library in 1941 as an after-school assistant. She was the Dunedin city librarian from 1968 to 1976, the New Zealand national librarian from 1976 to 1981 and the Auckland city librarian from 1982 to 1985. 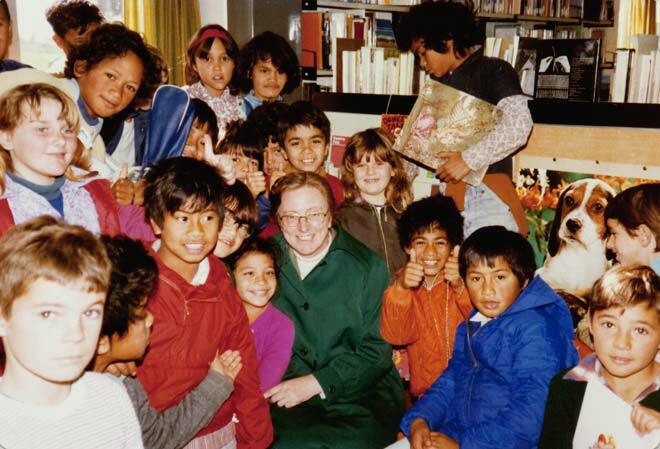 Here she is during a visit to the Ōtara Library in South Auckland in 1978.